When I was a kid growing up in Austin, birthday parties were fairly typical. If it wasn’t a friend’s house, it was video games, putt-putt golf, bumper cars, or a skating rink. And for parents, there were plenty of options: Celebration Station, Malibu Grand Prix, or Northcross Mall, to name a few. Children would congregate together from one station to the next on repeat, consuming excitement until the activity became boring. In reality, most of these activities were designed to entertain the children and to dowse their brains so full of endorphins that it didn’t matter if the activity itself was useful. But in the mid-80’s, a few entrepreneurs envisioned a business not only to entertain but also to provide physical exercise and active development: Pandamonium Playland. And for every Austinite I know who grew up with me, the place was legendary. Panadamonium Playland was a two-level 11,000-square foot indoor playscape at 502 E. Highland Mall Blvd., ironically located two doors down from Sugars. It was a sea of cargo nets, slides, crawling tubes, climbing tubes, inflatable bouncing rooms, and nooks and crannies demanding to be explored. It was so well designed that the ways children could chase and be chased by friends seemed endless, and a kid could spend hours running around. At the entrance, children were greeted by a giant plush “Amanda Panda” figure. 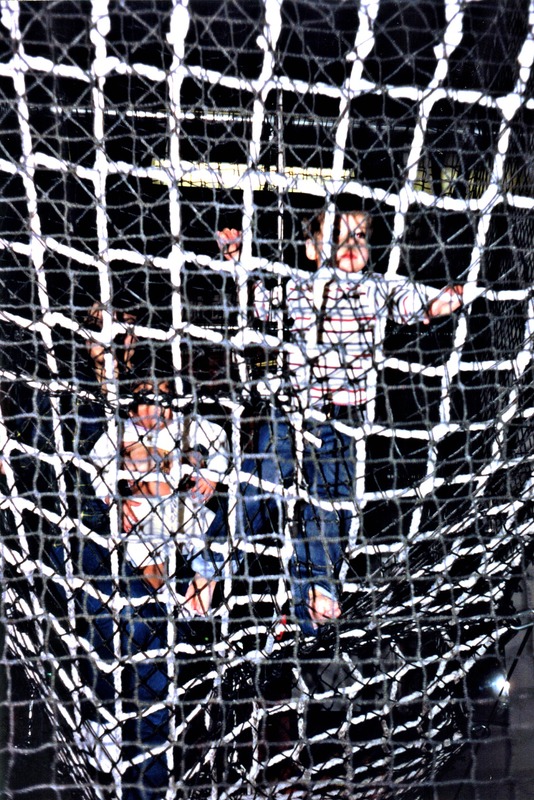 After paying for entry and placing shoes into a cubby, they crawled up an incline of giant rubber balls draped in a cargo net. And once you reached the top, it was like a starter pistol went off. Look down over the snack area from the castle facade. Hide in one of the hard plastic tubes suspended from the ceiling. Climb in one of the vertical tubes between floors. Slide down a tubular slide and climb up another cargo net. Jump on the Roller Racers. It was not only enthralling, but unique. 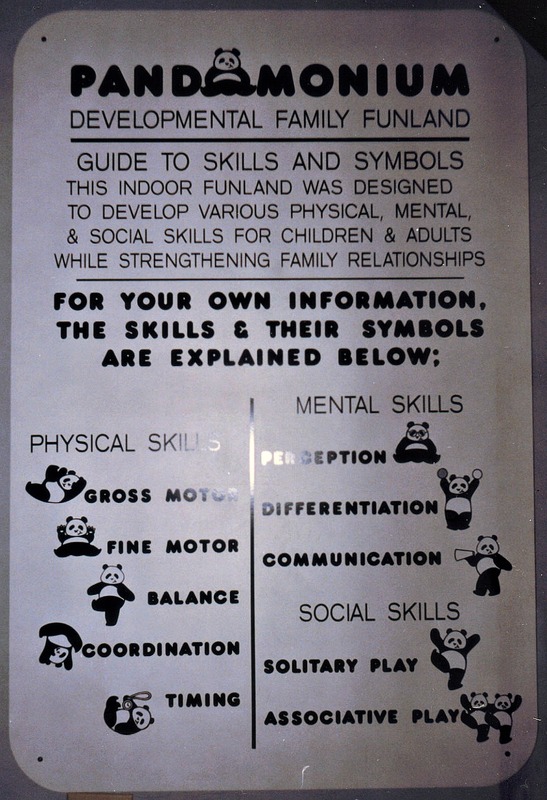 Pandamonium had some of the traditional playscape stations, like video games, but the design was intended to keep children continuously moving. Few playscapes at the time matched the tireless desire to run from station to station in an adrenaline-fueled whirlpool. 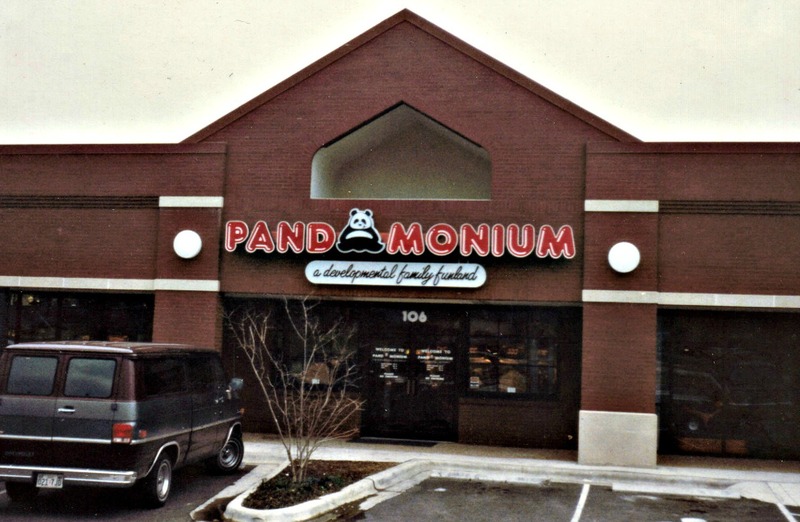 But despite its great design, Pandamonium shuttered its doors permanently in 1996. It’s led me to wonder if this place was so unique and still excites my friends to this day, how could it have been a bad business idea? How could it have failed? Pandamonium was originally the brainchild of Ed Gruendler, a medical-device engineer. He and Roger Jay, a mathematics professor, were both taking breaks from their regular careers to team up in a new business venture. They were partnered through Gruendler’s father-in-law, Ross Davis, a successful architect who financially backed the business. 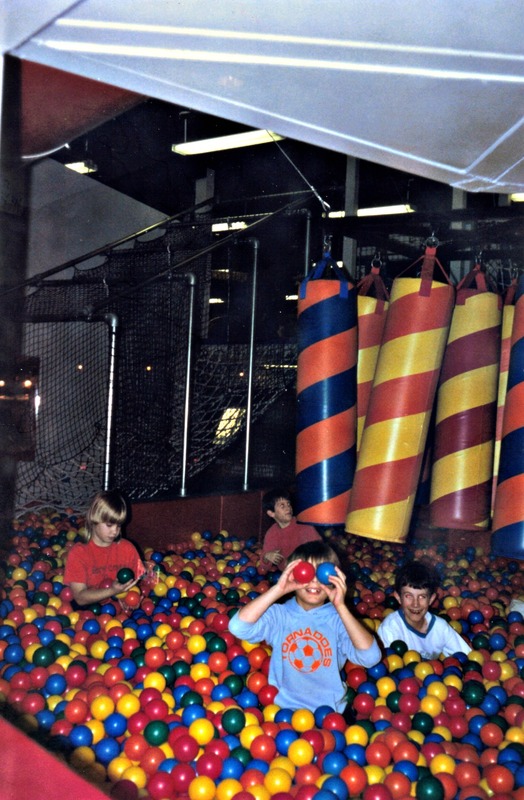 Jay originally wanted to open an after-school daycare based on the franchised playscape Nathan’s Physical Whimsical, the first known children’s indoor entertainment center. Davis came up with the name “Pandamonium,” and the panda theme ultimately stuck. Gruendler also knew of Physical Whimsical but envisioned something more elaborate. Instead of a series of play stations, he pictured a web of physical structures building-wide that would serve as one giant arena and would be marketed as an after-school activity. He re-wrote the business plan and opened a separate office off of Jollyville Road to franchise it as soon as it became successful. Jay and Davis were on board. While constructing the layout, Gruendler sought advice from UT professors who taught graduate classes in child development, and as he read a couple of core textbooks, development would play a strong theme in the business. They dedicated the facility to the “active play” concept that encouraged vigorous cardio exercise. Plus, each structure was labeled with any of ten “panda principle” icons that described its developmental purpose. Even the arcade was slanted towards physical games like Skee Ball and Whack-A-Mole. Among the few businesses using Soft Play equipment, none had installed a customized design as Gruendler had envisioned: tubing installed vertically between floors or suspended from the ceiling, for instance. Soft Play was initially on the fence about the venture, uncertain if it would support their image as a safe alternative. 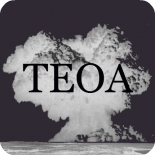 It took several conversations and a few allies in the company to convince them it was a worthwhile prospect. Gruendler and Jay worked tirelessly to get the business off the ground by Christmas 1986, hoping that they could draw in the bustling shoppers of a pre-internet Highland Mall. But as is common for a new business, they ran into a number of issues, including building and permit delays, and the doors didn’t open until the following year. After they opened, the long 20-hour days caught up with Gruendler, his health quickly deteriorated, and he spent 6-7 weeks in the hospital. The situation culminated into a strong disagreement about the partnership’s future. Gruendler and Jay’s personalities had not always meshed well together, and their visions for the business were starting to split. Davis decided Jay would receive a severance, and Jay left for Lone Star College to re-enter his teaching career. As Gruendler took over, business was quickly flourishing. The weekends were so jam packed that employees were looking for faster ways to turn over birthday parties in the dining room. But during the regular work week when most kids were in school, they needed to look for ways to keep revenues up. They offered specials for field trips, day cares, and even physical therapy offices. In all aspects, Gruendler wanted to model this flagship store for future franchises. The toys in the gift shop were not cheap plastic gifts but high-grade educational equipment you might find in a science museum gift shop. He had to compromise his vision only in the kitchen, as it was difficult to find a healthy food alternative that was both palatable to children and as profitable as pizza. As the popularity rose, Gruendler kept making making “premier” upgrades, one of which was changing admission from an all-day rate to an hourly rate, a decision Gruendler says was a “major mistake.” Customers strongly resented the new pricing scheme because employees policed the children to make sure their wristbands matched their entry fee. The new prices also coincided with the economic downturn of the late 80’s. By 1989, spending and consumer confidence had dropped nationwide with growing inflation rates. (3) Not only were fewer customers happy with Pandamonium, but fewer were willing to spend for their child’s entertainment at all. The downturn was also sinking real estate deals Gruendler held on the side, and Pandamonium’s financial outlook was becoming grim. To stay afloat, he abandoned hope of a franchise. But to make the timing worse, Gruendler learned that under Jay’s management, employee payroll taxes went unpaid. With late fees, IRS fines and penalties had mushroomed to over $150,000. By 1989, the continued strain was taking such a severe toll on Gruendler’s family that he forfeited his partnership with Davis. Pandamonium closed, and the bank assumed ownership of the building. The bank reached out to one of the franchise owners of Physical Whimsical in Houston, John Torry, who bought the building and the business. He changed the spelling to the literal “Pandemonium” and re-opened the store in 1990 with the same design as before. Torry had experience helping to turn around low-traffic shopping malls in Houston by installing children’s playscapes. From the beginning, he already understood the challenges of the business model. With the aide of capable managers, he was successful in keeping Pandemonium going for several years. Except for a few gradual changes, such as a bumper cars and a skating rink, it was the same Pandamonium as it was before. Like Gruendler, Torry took advantage of a small stage in the corner of the dining room by bringing in singers, musicians, jugglers, and any other children’s entertainers he could afford. But after five years, the constant commute between Houston and Austin became tiring, and he could start to see the market was oversaturated. Any place a child could have a birthday party was competition, and there were plenty of them in Austin: Gattiland, Chuck E. Cheese, Celebration Station, Discovery Zone, Malibu Grand Prix, Northcross Mall, video arcades, laser tag, etc. Plus, Pandemonium’s novelty was starting to fade, a problem considering that the indoor structures were not modular enough to be changed. Every time a child came in, they saw the same layout as before. Despite an efficient concept that lasted for ten years, the active play arena was difficult to sustain even with experienced management at the helm. Even if costly mistakes like employee theft, negligent tax payments, or economic downturns could be avoided, it was hard to keep it fresh and relevant amidst a deluge of competitors. 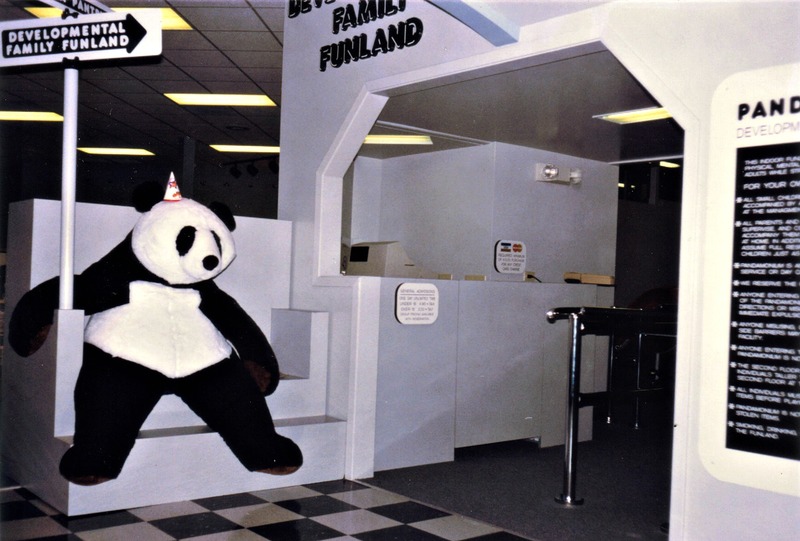 If it existed today, Pandamonium would have to fight for birthday dollars against Jump Street, iFLY, Main Event, Austin’s Park ‘N Pizza, and its most similar competitor, Mt. Playmore. all of which are more advanced than the competitors of the 90’s. And more than that, the playscape would have to be re-designed so that the equipment could be modified frequently enough to keep the interest of repeat customers. It might also need stronger marketing towards physical therapy groups during the workweek, a concept currently in progress at Little Land Play Gym in North Austin. At the very least, though, a reinvented Pandamonium would be welcome among the native Austinites who now have their own children to entertain. Connor McGee has lived in Austin most of his life and is an occasional freelance non-fiction writer. He’s written stories for the Austin Post on the economics of the ACL Music Festival’s ticket sales and the last days of the UT burger restaurant Players. Connor holds a BA from UT and a Masters in Public Administration from Cornell University. He enjoys research and was formerly an internal government auditor. For more images please click here. 1 Sleepy_Kitty, July 2014, comment on TuneCheetah, “Does anyone remember pandamonium?,” Reddit, July 2014, http://www.reddit.com/r/Austin/comments/28stv4/does_anyone_remember_pandamonium. 2 Amusement Concepts. “The Bennetts Remodel… With Soft Play.” Last accessed June 14, 2015. http://www.amusementconcepts.ca/testimonials/BennettStJohns.pdf. 3 Carl E. Walsh, “What Caused the 1990-1991 Recession?,” FRBSF Economic Review 2 (1993): 34. 4 “Shutdown of playland causes ‘pandemonium,’ Austin American-Statesman, August 6, 1996, D2. 6 Joshua Mills, “Diary,” New York Times, March 31, 1996, last accessed June 14, 2015, http://www.nytimes.com/1996/03/31/business/diary-042170.html. I loved that place as a kid! OMG. I LOVED THIS PLACE. I never came often enough to get bored of it, but I remember really liking the skating rink and just thinking, years and years later, that I really wished it was still around and wondering what had happened to it. If it had stuck around, I wonder if I would be as recalcitrant to physical activity. I was one of those employees that never got paid there finally paycheck before it closed down. I worked there for 2yrs, where can I claim my unpaid wages? This entry was posted on September 16, 2015 by The End of Austin in 1980s Austin and tagged Austin, children, play, retail.